GetUp! - Will you help get the word out? Will you help get the word out? Thank you for championing fair reform that won't risk hurting those who can least afford it. With the Premiers and the Federal Government meeting right not to discuss how to properly fund our schools and hospitals, it's a critical time to broaden the debate beyond the narrow focus on regressive GST hikes. 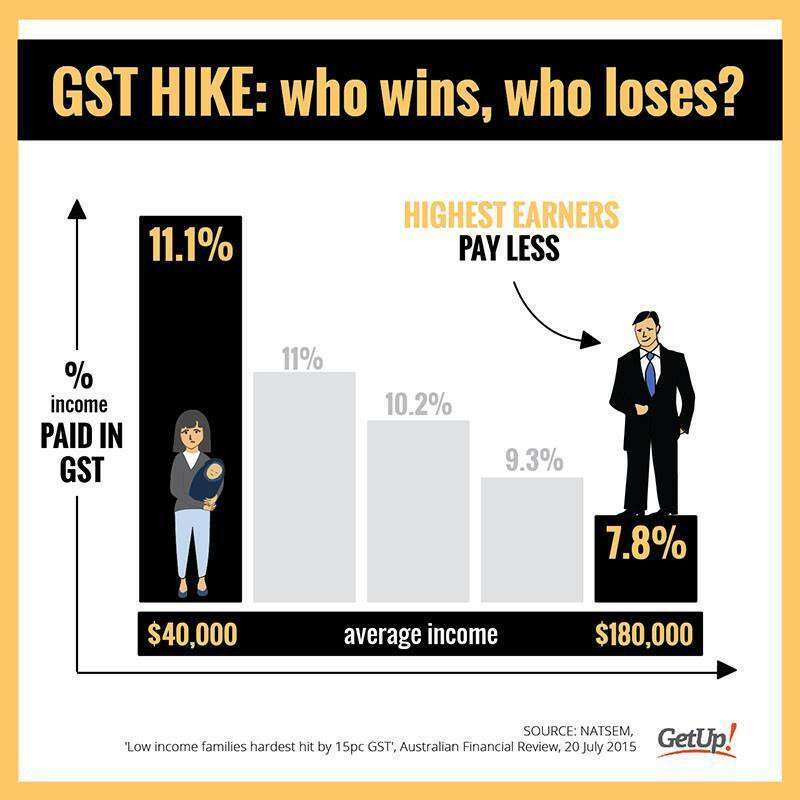 Will you share this image now to get the word out on GST, and highlight the many better options for reform?